Jim Stoppani's Holiday Eating Guide! Holiday indulgence doesn't have to be a bad thing. Eat your favorite comfort foods and coast into the new year looking your best with these smart nutrition strategies! Every holiday season, I get a lot of questions about how to avoid overindulging and how to make healthy alternatives to classic seasonal recipes. My response may surprise you, given that I maintain a very low body fat year round: I'm actually not a big believer in cooking alternative "healthy" holiday fare or avoiding the enjoyment of these kinds of foods. Rather, I believe in fully enjoying myself! During the holidays, the most important dish I must have is mashed potatoes with gravy. And the creamier the potatoes and gravy, the better! But I don't stop there. I love my pumpkin pie, and even better, pumpkin cheesecake! For Christmas, my mother makes Italian cookies that are insanely good. She even mails them to me in L.A. when I can't get back to Connecticut for the holidays. I also enjoy eggnog—with plenty of rum, of course. Since I only eat these foods a few times a year, I don't like missing my chance to fully enjoy them. So how do I splurge without ruining my results? I have a few tricks up my sleeve that involve the gym, my diet, and my supplement regimen—tricks that get me through the holidays without ruining my physique. Consider them my holiday gift to you! Every Thanksgiving, I eat a lot of mashed potatoes, gravy, and desserts. At Christmas, I plan on doing the same. But I start preparing for these smorgasbords a few days earlier. Starting six days out from any holiday feast like Thanksgiving or Christmas, I drastically slash my carbs, going as low as 0.5 grams of carbs per pound of body weight daily for the first three days. I weigh 210 pounds right now, so that's 105 grams of carbs daily for me. After three days at this level, I drop down to about 0.25 grams of carbs per pound of body weight for three days, or 52 grams of carbs daily. When the holiday feast comes, I actually need the gorge to spike my metabolism back up so I can keep burning body fat. After going so low-carb for so many days, I usually have to pig out in order to prevent my metabolism from dropping too low. With this technique, I've turned an otherwise unhealthy dinner into a way of actually enhancing fat burning! After going so low-carb for so many days, I usually have to pig out in order to prevent my metabolism from dropping too low. Dropping carbs before Thanksgiving or Christmas can be planned for, but what happens when a party suddenly drops into your lap with only a couple of days' notice? In this case, you have no time to plan for it by eating low carb for a few days, plus you may have just spent the night eating way too many of your mother's famous Italian cookies! Sure, you could go to the party and look like one of those stick-in-the-mud health nuts who won't touch any of the delicious treats on hand. But I have a better option that allows you to enjoy yourself without damaging your physique or your reputation: intermittent fasting (IF). While using IF is a solid long-term diet strategy for getting ripped, it can also be used acutely to minimize the damage from a massive cheat day. To do this, simply don't eat anything other than noncaloric drinks such as water, black coffee, unsweetened tea, or diet drinks throughout the day leading up to your party. This way, even if you consume 2,000-3,000 calories at the party, you're still in your daily allowance for total calories. A solid strategy to use when a party comes up, even on just a few hours' notice, is to turn your party gorging into your post-workout meal. Train before the party, and make sure that it's an intense workout. Try to limit rest periods between sets, use supersets, and include some high-intensity interval training at the end. Turn your party gorging into your post-workout meal. Train before the party, and make sure that it's an intense workout. Better yet, do cardio acceleration throughout the workout by incorporating some form of activity during your "rest" between sets, such as running in place, jumping rope, fast-paced dumbbell cleans, step-ups, or kettlebell swings. If you went through my Shortcut to Shred program, you know just how effective this approach can be. If possible, work out an hour or two before the party—the closer to the party, the better. Then you can turn all that delicious food into your post-workout refueling. Recovering from a workout is an energy-consuming process; it demands plenty of calories for your body to recover after intense exercise, so there's no better time to eat cheat foods than after an intense session. This is when the damage to your physique will be minimal, if at all. If you're a Jym supplement user, go ahead and take your Post Jym Active Matrix and Pro Jym protein as usual after your session, but in this instance, skip the Post Jym Carb or other dextrose and get your fast-acting carbs from goodies at the party! Powerful Cocktail Designed to Help Boost Repair, Maximize Recovery, and Build Muscle* Go Now! My first three tricks were all about making your meal work for you. This last one is about simply decreasing the damage it does. For instance, maybe there's no time to train, you haven't been able to plan out any dietary modifications, and you've got an impending date with a gut-busting meal. Don't stress! This tip focuses on four supplements that can lessen the damaging effects of a big splurge. The Canadian researchers further found that when the subjects drank 20-40 grams of whey protein before consuming unlimited amounts of pizza, their blood glucose and insulin levels were significantly lower than when they didn't drink the whey protein shake.4 So, not only can drinking a protein shake help you eat less at a holiday feast, it blunts the insulin spike that all those carbs normally cause. With less insulin around, all those carbs have less of a chance to be stored as body fat. Drinking protein shakes, particularly those including whey, an hour before buffet-style meals significantly reduces hunger and reduces the amount of food eaten. Glucomannan is a water-soluble dietary fiber derived from the Asian konjac root. When mixed with water, it expands up to 50 times its original volume, helping to curb hunger by boosting your sense of fullness. Glucomannan can also slow down the digestion of nutrients, including carbohydrates, which may lead to lower blood glucose levels and prevent major spikes in insulin.5 Take 2-4 grams of glucomannan about an hour before your feast to help reduce the amount of holiday food that goes down the hatch. This was likely a result of EGCG's ability to inhibit two specific enzymes, alpha-glucosidase and alpha-amylase, that normally break down starch into smaller units that can be absorbed by the intestines. When the starch doesn't get broken down into these smaller units, it can't be absorbed by the body and literally gets flushed down the drain. Way better than being stored as body fat! To ensure you're timing your fat burner with your meal, take your green tea extract with you to your party and have it when you start eating. As I wrote in my "Expert Guide to Carnitine," L-carnitine is a popular supplement that benefits from an insulin spike to be taken up by muscle fibers and put to work. One study found that when subjects supplemented with 2 grams of carnitine twice a day for 12 weeks with a high-carb meal, they did not gain body fat, despite having 180 grams of extra carbs added to their diets!8 Those subjects not receiving the carnitine, but still the extra carbs, gained a significant amount of body fat. My recommendation: Bring along 2 grams of carnitine as L-carnitine tartrate to take while you're pounding the carb-heavy party food. Do more than survive the holidays! Before you ask, of course you can use all of these tricks together to ensure that you can indulge guilt-free at any holiday meal without ruining your progress. That's what I do! But along the way, don't get so caught up in your hacks and preventative planning that you forget to enjoy yourself. These are the holidays, after all! Enjoy them guilt-free, knowing that you're not sabotaging your lean and muscular physique. 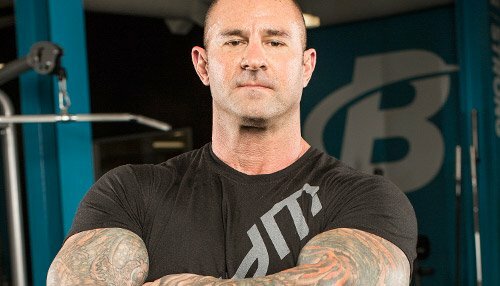 For more muscle-building and fat-loss nutrition guides, as well as full training programs that support them, check out jimstoppani.com. Anderson, G. H., Tecimer, S. N., Shah, D., & Zafar, T. A. (2004). Protein source, quantity, and time of consumption determine the effect of proteins on short-term food intake in young men. The Journal of Nutrition, 134(11), 3011-3015. Bowen, J., Noakes, M., & Clifton, P. M. (2006). Appetite regulatory hormone responses to various dietary proteins differ by body mass index status despite similar reductions in ad libitum energy intake. The Journal of Clinical Endocrinology & Metabolism, 91(8), 2913-2919. Jenkins, D. J., Jenkins, A. L., Wolever, T. M., Vuksan, V., Rao, A. V., Thompson, L. U., & Josse, R. G. (1994). Low glycemic index: lente carbohydrates and physiological effects of altered food frequency. The American Journal of Clinical Nutrition, 59(3), 706S-709S. Lochocka, K., Bajerska, J., Glapa, A., Fidler-Witon, E., Nowak, J. K., Szczapa, T., ... & Walkowiak, J. (2015). Green tea extract decreases starch digestion and absorption from a test meal in humans: a randomized, placebo-controlled crossover study. Scientific Reports, 5. Stephens, F. B., Wall, B. T., Marimuthu, K., Shannon, C. E., Constantin Teodosiu, D., Macdonald, I. A., & Greenhaff, P. L. (2013). Skeletal muscle carnitine loading increases energy expenditure, modulates fuel metabolism gene networks and prevents body fat accumulation in humans. The Journal of Physiology, 591(18), 4655-4666.